The Stirling Adjustable Toilet Frame is robust and comfortable, with a one piece moulded clip on seat, it provides an ideal position whilst using the toilet. Has non-slip feet. 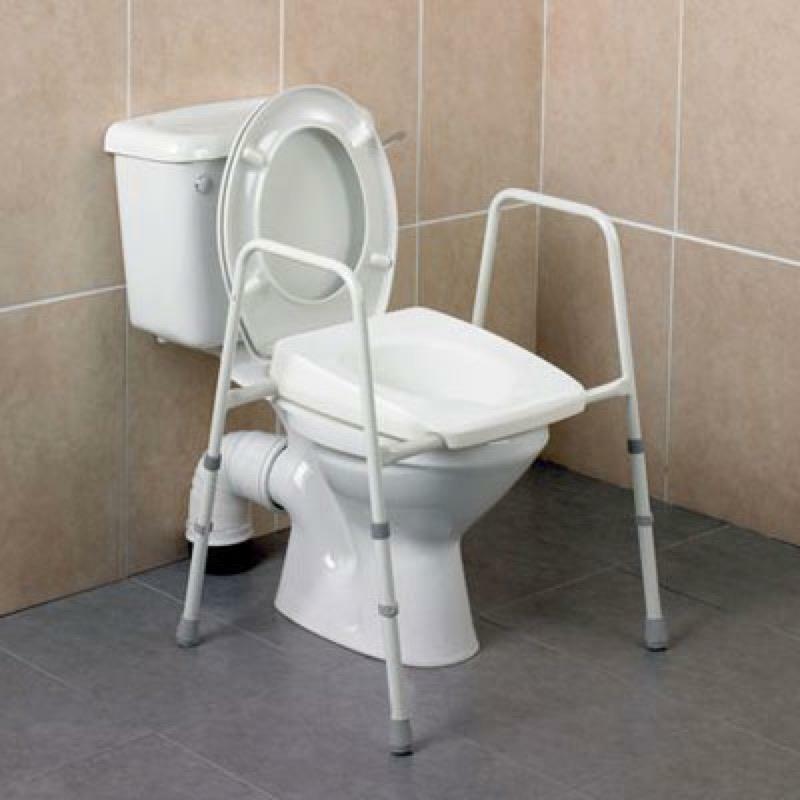 The Stirling Adjustable Toilet Frame is robust and comfortable, with a one piece moulded clip on seat, it provides an ideal position whilst using the toilet. Has non-slip feet. Deluxe frame comes with padded armrests. Height and width adjustable. Height Adjustment 15 to 21"
Width Adjustment 19 to 21"